Our latest and most powerful version ever is now available. 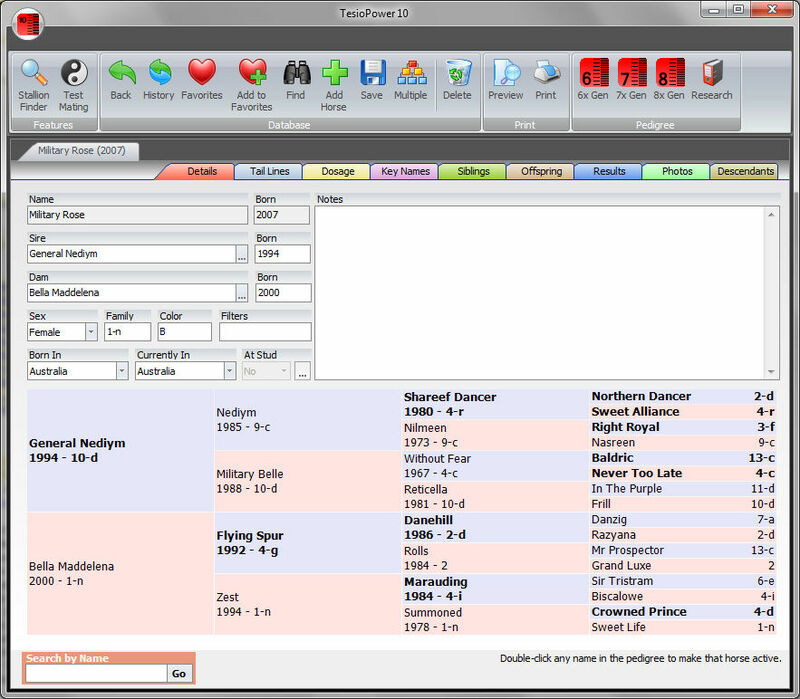 TesioPower is a winning combination of software program and database, helping you create great pedigrees and upgrade your stock. Download a demo copy now and see for yourself. Breeders across the world have acclaimed the TesioPower system and used it to plan their matings and help them upgrade their Thoroughbred families using the linebreeding theories of Federico Tesio. TesioPower allows breeders, analysts and all others involved with the Thoroughbred to examine pedigrees, to spot potential flaws and build potential greatness. 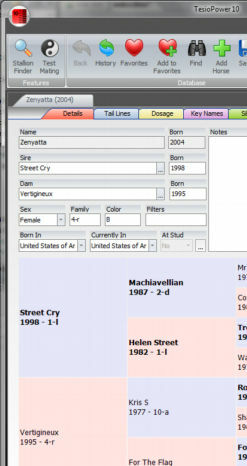 TesioPower is a tool that will help you with Thoroughbred pedigrees whether you wish to breed, buy or simply study to learn. For all enquiries, please email us at info@tesiopower.com. New! TesioPower 10 is now available. TesioPower's Main Screen is clear and easy to read. Click the image to see the full screen.